Not long ago, that would have seemed a laughable idea. But a wave of recent closures—including Lompoc Brewing's Hedge House, BTU Brasserie and most notably the Commons at the red-hot intersection of Southeast 7th Avenue and Belmont Street last year—have beer geeks wondering if the craft bubble has finally burst. 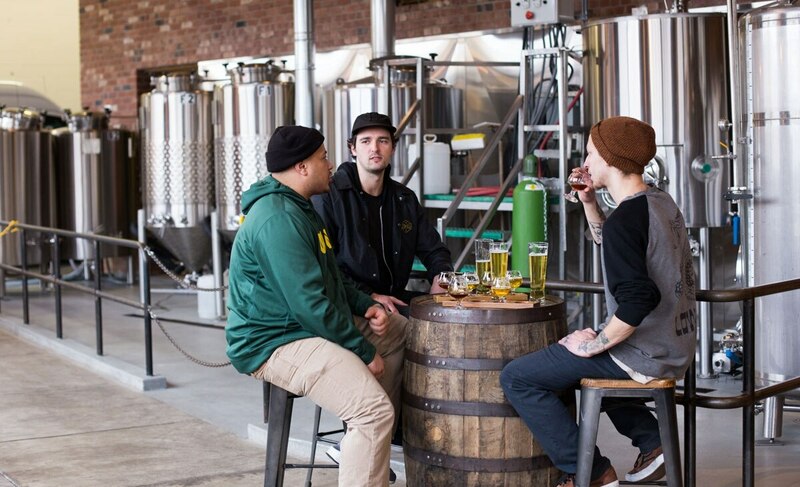 Related: One of Portland's Most Celebrated Breweries, The Commons, Announced It's Closing. What Happened? It's a reasonable question. According to a new report by industry trade group the Brewers Association, craft beer growth was up again in 2017, but by much smaller margins than in previous years. More concerning, the number of craft breweries that closed in 2017 was up 70 percent. Portland may be a beer mecca, but it's not immune to issues plaguing an industry just coming off a major growth streak. Increased competition among craft breweries and a growing onslaught of buyouts by the macro breweries have put brewers on edge, especially those dependent on distribution. The craft beer selection in supermarket aisles has plateaued as more and more shelf space is taken up by faux-craft beers owned by mega-conglomerates, like Oregon's 10 Barrel Brewing and Hop Valley. Meanwhile, middle-aged breweries like Lompoc and even older ones like Widmer are struggling to stay relevant. The answer might be to freshen up your direct-to-consumer roots, like all the local beer bars that have recently remodeled. Some brewers are reaching for the hot craze of the moment in pastry stouts and milkshake IPAs. But judging by consumer reaction, younger drinkers are still skeptical of older and larger breweries. Other craft breweries are embracing lagers, but those beers tend to be expensive to make, while macro brewers make them cheaply and arguably better. Those breweries who are packaging in bottles are switching to cans or smaller packages to make the beer seemingly affordable. So has the bubble actually burst? Not really. And these changes may actually be good for the industry. Now, breweries are learning to embrace their local roots and putting pints directly in front of consumers at their own establishments. In the past, some breweries worried about alienating their retail and hospitality accounts. That thinking has gone by the wayside, as everyone from Anheuser-Busch to places like StormBreaker Brewing are opening second, third or fourth taprooms. Rather than expanding distribution, younger breweries like Migration, StormBreaker, Baerlic and Great Notion are opening new locations to meet customers in person and compete as local watering holes. Coming later this year, we will see North Carolina's Thirsty Monk open its own Portland brewpub, while Bend's Atlas Cider will open a downtown location. It makes sense: Why shouldn't breweries be more like coffee shops and local taverns instead of cold manufacturing spaces? After all, that's what many found unappealing about Budweiser and Coors to begin with. Ezra Johnson-Greenough is a native Portlander and is thus obsessed with microbrews, artisan burgers and pizza, does not own a car and does not know what an umbrella is. 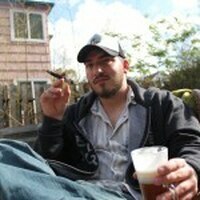 He is a writer of beer and film, a festival organizer and graphic design/illustrator. On Twitter or Instagram: @NewSchoolBeer.